Equipment Leasing & Financing for Businesses in Raleigh-Durham, NC. 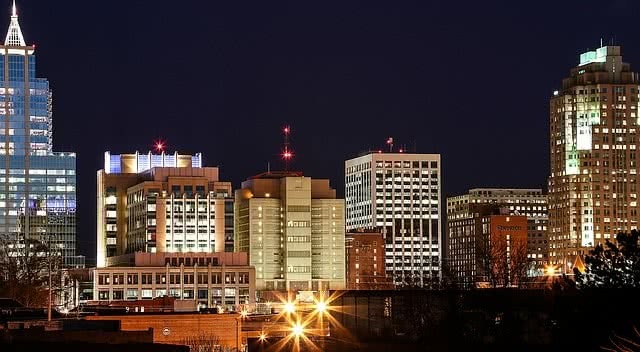 Raleigh-Durham is full of opportunities for small businesses that work in sectors requiring substantial use of equipment, from construction and manufacturing to life sciences and much more. With small businesses employing nearly half of all workers in the Triangle, there’s plenty of work to be done. * The right equipment is vital for your small business. Raleigh-Durham’s expansive economy requires plenty of equipment to keep it moving. While using the right equipment is a simple task for trained workers, it can be much more difficult for business owners to obtain it. That’s why National Funding offers Raleigh-Durham small businesses equipment leasing and financing options that meet their needs and help them excel in their chosen fields. Put simply, National Funding helps your organization get the gear you need. Increase output with cutting-edge machines on the factory floor. Take on new jobs with a wider range or more specialized gear. Work on more projects at the same time. Finish jobs quickly and move on to more work. There are plenty of options for small business owners in Raleigh-Durham when deciding how to acquire the equipment they need. Some may want to lease new equipment, while others look to pre-owned items for additional savings. Financing is another powerful option. Partners with a leasing and financing provider dedicated to working with small businesses. Benefits from our Lowest Payment Guarantee for each and every lease. Doesn’t wait several weeks or months for equipment - approval and delivery timelines are fast and efficient. How to Get Leased and Financed Equipment in Raleigh-Durham? National Funding has developed streamlined leasing and financing application processes that gather only the necessary info and quickly get you back to leading your business. What do you need to apply? What Can You Do With Leased and Financed Equipment in Raleigh-Durham? There are nearly limitless options for businesses to stabilize, expand and diversify when they bring the right equipment into the mix. Whether you want to replace aging gear or expand operations with new machinery, National Funding has a leasing or financing option that makes sense for your individual needs. Leasing and financing doesn’t just mean the ability to produce more or take on new types of jobs; it also helps small businesses maintain more available funds. Instead of paying for equipment all at once, you can spread payments out over time. National Funding knows how valuable that financial flexibility is for your company. Why Should You Partner With National Funding? National Funding is dedicated to helping small businesses prosper through effective loan, lease and financing choices. Nearly two decades of experience working exclusively with small businesses means we understand what companies just like yours need to succeed. We’re here to offer effective pathways to get your business the right equipment at the right time. Complete our quick online application and start working with an experienced loan specialist today!